KLone is now BSD licensed! No more license fees, no more restrictions, bare performance. KLone participates in the World IPv6 Launch with a fully compliant release. It also includes UNIX IPC and SCTP for Happy Eyeballs support, hookable server main loop and numerous fixes. Take a look at the ChangeLog for full details. LibU 2.2.0 and MaKL 1.9.0 have been released. They provide new HMap custom caching policies, GNU for ARMv7 and clang for Darwin toolchains, and resolution of several bugs. The main feature of this release is CyaSSL support, a great alternative to OpenSSL for a huge reduction in web application footprint on disk/flash (~20X) and a substantial performance boost (~3X). Other included fixes and enhancements are minor. Take a look at the ChangeLog for full details. Also, many new library tools are available as a result of the merge with LibU 2. A problem with intensive usage of timers has been solved and many porting fixes and extensions have been included. Links to the new GitHub repositories can be found in the Download sections of KLone, MaKL and LibU. IRC channel info is under Support. LibU 2.1.0 has been released, including new JSON and binary search tree modules -- see online docs for details. 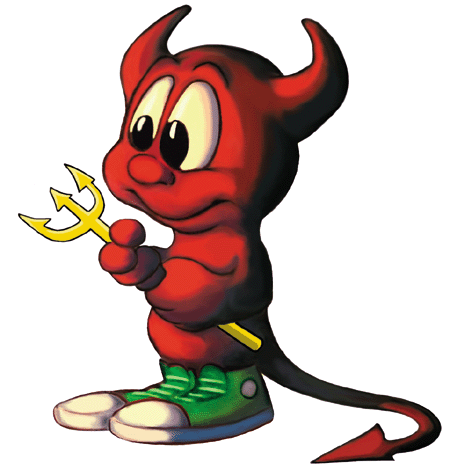 Minix 3 and OpenSolaris ports have been added with MaKL >= 1.8.3. MaKL 1.8.3 has been released. KLone will be presented at the 4th Italian Free Software Conference, in Cagliari, on the 11th and 12th June 2010. The slides (in Italian) can be downloaded here. LibU 2.0.0 has been released. Read the ChangeLog or browse online resources. The price of the KLone Commercial License has risen to EUR 1950. KLone 2.2.1 has been released. Read the ChangeLog or browse online resources. LibU 1.4.1 and MaKL 1.8.1 released. KLone 2.2.0 has been released. Read the ChangeLog or browse online resources. KLone 2.1.1 has been released. Read the ChangeLog or browse online resources. KLone 2.1.0 has been released. Read the ChangeLog or browse online resources. A bug has been found that may allow malicious users to remotely gain control of servers running KLone version 2.0.x or below. It is strongly advised to upgrade to version 2.1.0. KLone 2.0.1 has been released. Read the ChangeLog or browse online resources. KLone 2.0.0 has been released, it provides an improved yet simplified development framework, many new features and bug fixes. Read the ChangeLog or browse online resources. Third major update of www.koanlogic.com. The website is now powered by KLone. LibU 1.0.0 and MaKL 1.4.0 released. KLone 1.2.0, LibU 0.5.0 and MaKL 1.3.0 released.